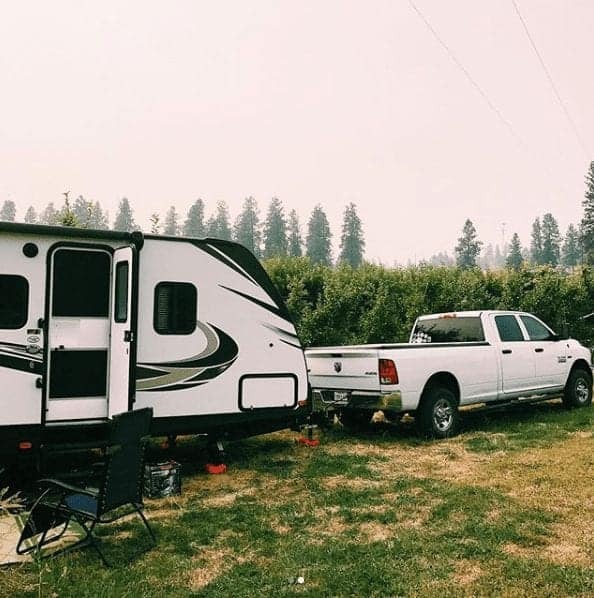 So, now that we’ve joined the weekend and summer RVing crowd (you guys are cool and we’re excited to be a part of your cult club), we (I) thought it would be fun to reminisce on what our favorite RVing spots were during our 17 months on the road. These are the places we can not wait to get back to. The places we want you to know about. The places that should be on your RV travel bucket list! Instead of making this post all about me and my favorite places, I decided to ask each member of our family what their favorite place was. I know, that’s super nice of me to include them. Read: Do you want to know some of the best places to RV during the winter? Awesome. Check out these top picks. We’ll start with the oldest member of our family (aka not me) and end with the youngest. I actually didn’t even need to ask him where his favorite RVing spot was because I already knew it. He’s been wanting to go back to Glacier since the day we set foot in Glacier. So we did. Yep, during our 17 months on the road, we visited Glacier twice, for a total of about three weeks. It’s that good. Our first visit was in July of 2017. You can read all about our glorious week in Glacier National Park and why it was Todd’s favorite. From the hiking, the views, the weather, and the animals it’s easy to see why he wanted to come back. Our last visit was in September. We traveled as fast as our travel trailer could get us there from the East coast so we could beat the first snow and brutal Montana winter weather. We had only planned about a week there, but extended to two weeks. Because guess what? 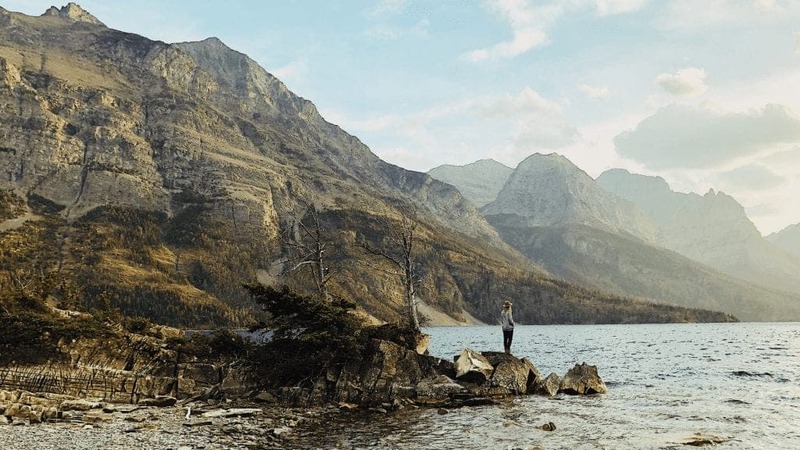 September is a really great time to visit Glacier. It did get a little cold and a lot of the restaurants were shutting down, but other than that one time I got really salty because this pie place everyone was raving about was out of pie, we were so glad to be there this time of year. Todd’s favorite part of this last visit was actually getting to watch the leaves change and literally just light up the park with reds, oranges, and golds. It was simply spectacular! We’ll be sure to write up an article on all the reasons why early fall is the perfect time to visit Glacier NP. 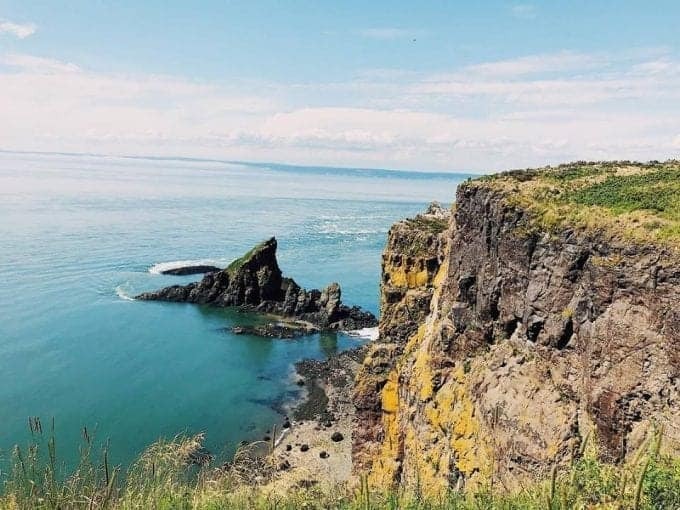 Nova Scotia, Canada – Check out this must-do hike in Nova Scotia. The views are unreal! 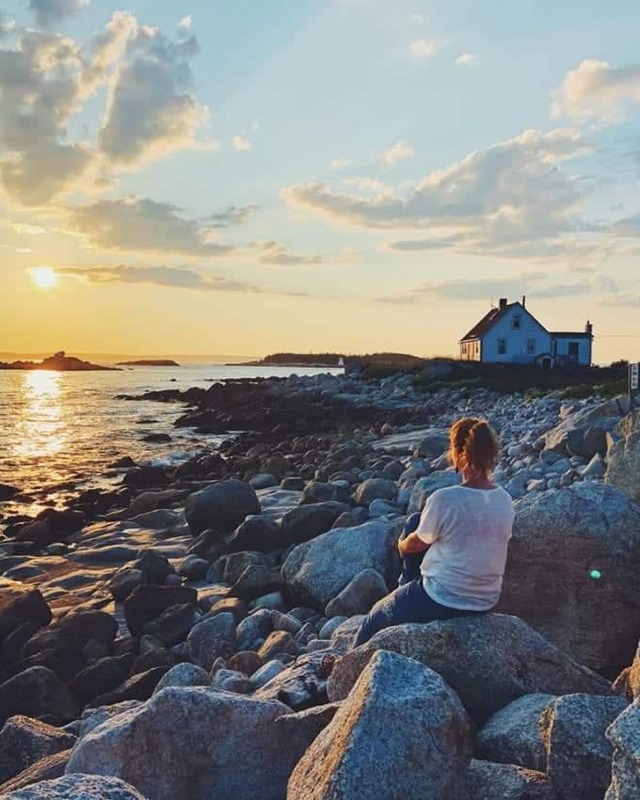 Acadia National Park in Maine – Check out these three hikes in Acadia that you can’t miss. I almost didn’t allow myself to put this as my favorite RVing spot because, well, we didn’t actually RV in Banff. Say what? 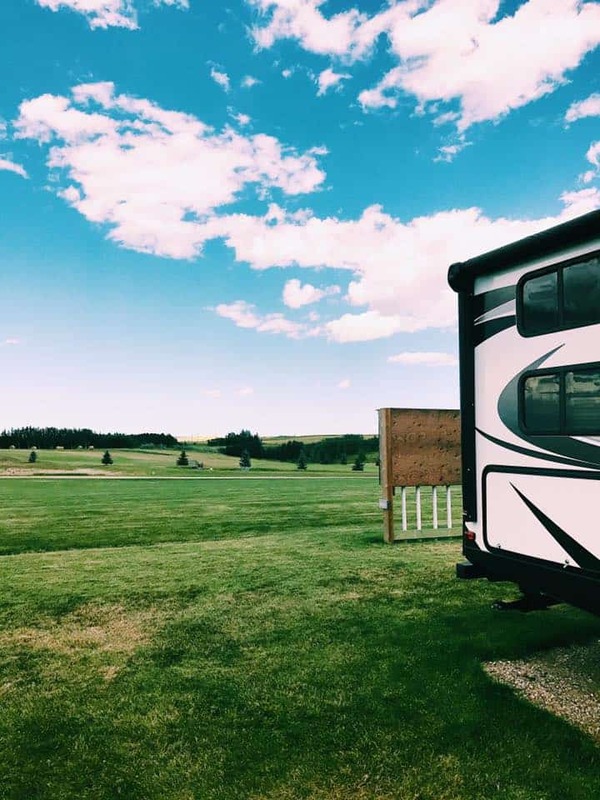 We left our travel trailer at the Beaver Dam Golf & RV Resort in Madden, AB and rented an Airbnb for a few days in Canmore. But, we did actually sleep at the RV resort for several days as well and it’s downright beautiful there. 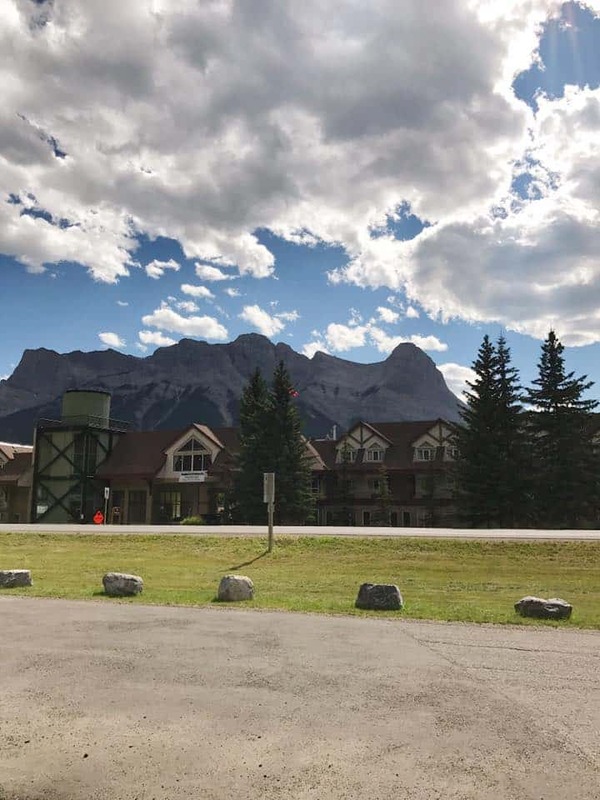 The RV resort was about an hour and a half away from Banff and we wanted to spend as much time as possible exploring the park and the area. Plus, we were all feeling the need to spread out a little since five of us were traveling in a 26 ft. travel trailer. Side note: We rented an Airbnb three times during our 17 months on the road. Once in Colorado when our water lines froze (good times right there! ), once in Maryland for a family wedding, and once in Canada. What does one do with their RV when they’re staying at an Airbnb? You have several choices. So we booked an Airbnb in Canmore and let me tell you, this was such a smart decision. It has a fantastic view (pictured above), our host left us wine (the way to my heart) and we were all able to go do our own things since we were close to town and could take their public transportation. Hannah and I did some shopping. The guys did a long hike to a remote tea house. 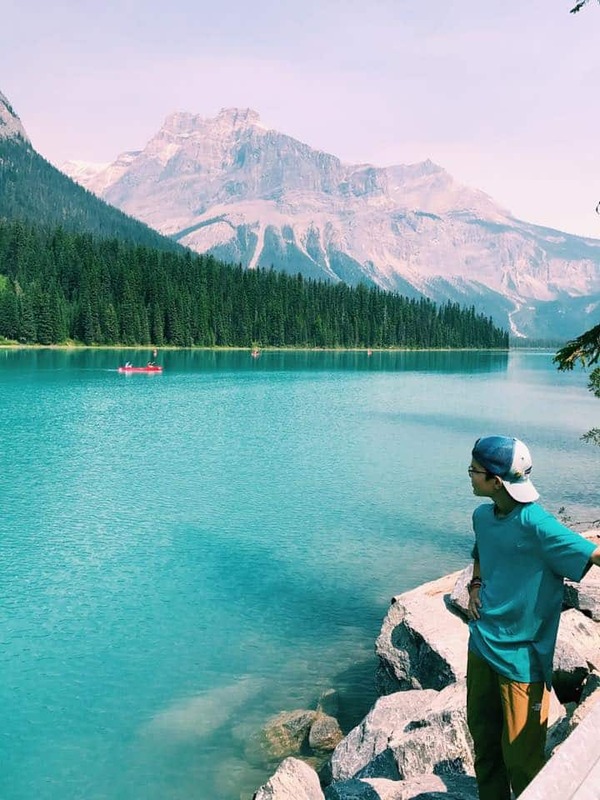 We also made it to Yoho National Park, which isn’t far from Banff, and saw water that was the color of blue Gatorade. It. was. stunning. 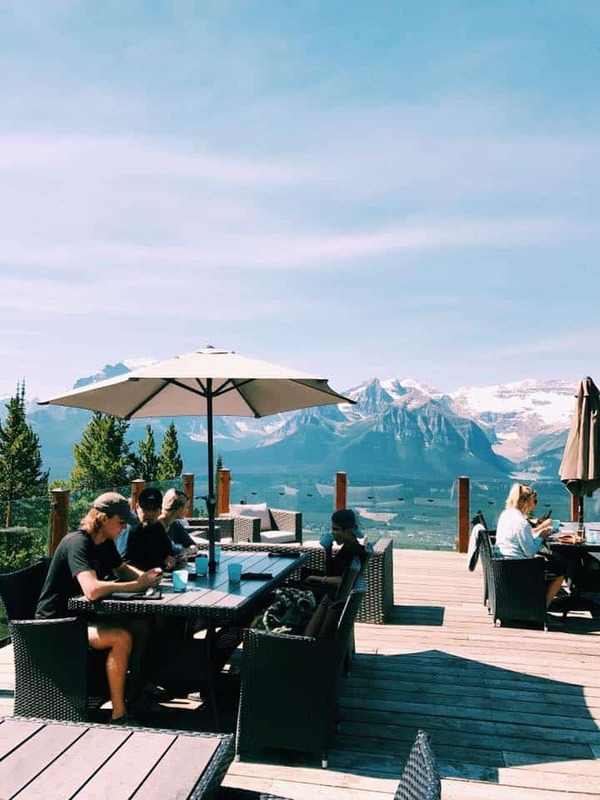 We ate at the Whitehorn Bistro at Lake Louise. Needless to say, we all had one heck of a great time…and saw a Grizzly mom with two cubs as a bonus! It was just incredible. So I decided to allow myself to add Banff as my favorite RVing spot, as you can probably tell. Prince Edward Island, Canada (apparently I’m a fan of Canada) – This is the PEI campground we stayed at and here are six fun things to do in PEI. And if I may add another one…Colorado! We used to live there. We have family there and we’ve spent more time RVing in Colroado than any of the other places we’ve visited. 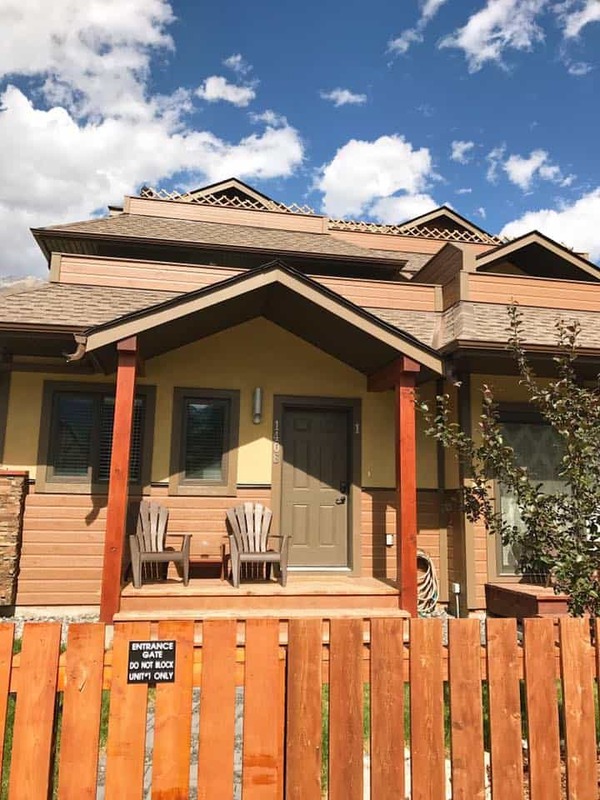 There are so many family friendly destinations in Colorado and plenty to keep everyone happy. 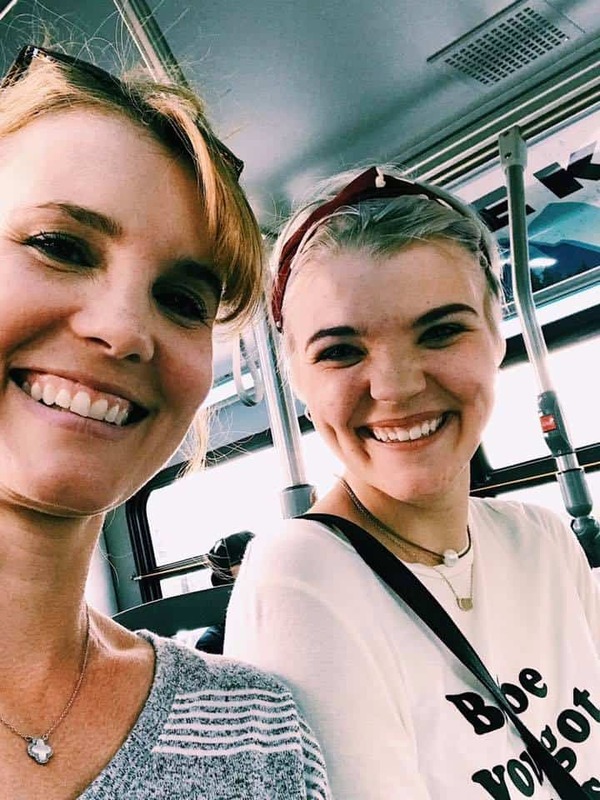 Our daughter Hannah is in college and was only with us during her breaks. So she didn’t get to see all 36 states like the rest of us, but she did see a lot of both the west and east coast, as well as the five Canadian provinces we visited. She’s been talking about visiting Canada for as long as I can remember. So when we hit the road in May of 2017 during her summer break, we booked it to Canada. And then some friends of ours asked if we wanted travel to Prince Edward Island and Nova Scotia for two weeks in the summer of 2018 and we jumped at the chance to see another part of Canada. And are ever glad we did. It’s some of the most beautiful countrysides we’ve ever seen and was well worth the drive. This was the view from the Cape Split hike we went on. This 8-mile hike was Hannah’s longest hike yet and she felt pretty dang good after accomplishing it. 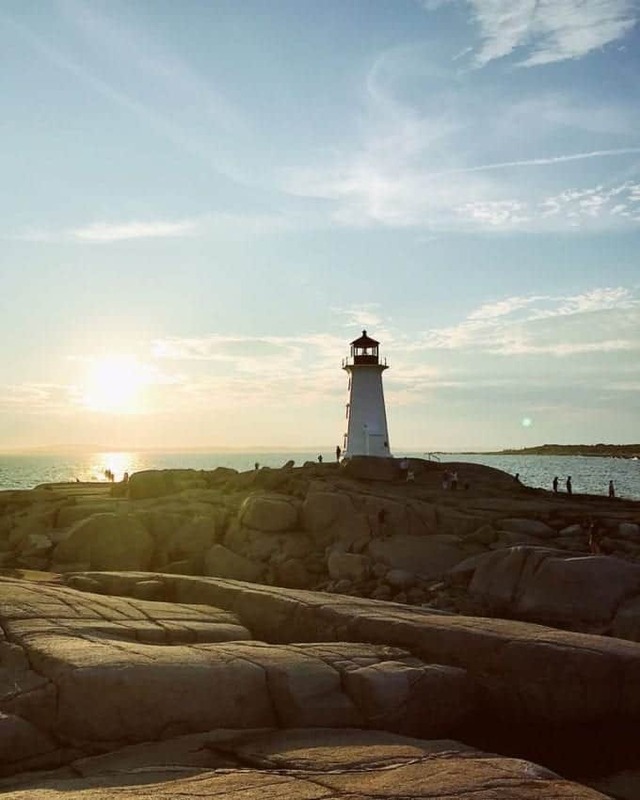 Why did she choose Nova Scotia as her favorite RVing spot? Well, take one look at where our RV park was located and you’ll see why. Right on the water AND we were right around the corner from the Peggy’s Cove lighthouse. This is the view from King Neptune Campground. An RV park we highly recommend! The other reason she loved it, was because of Halifax. 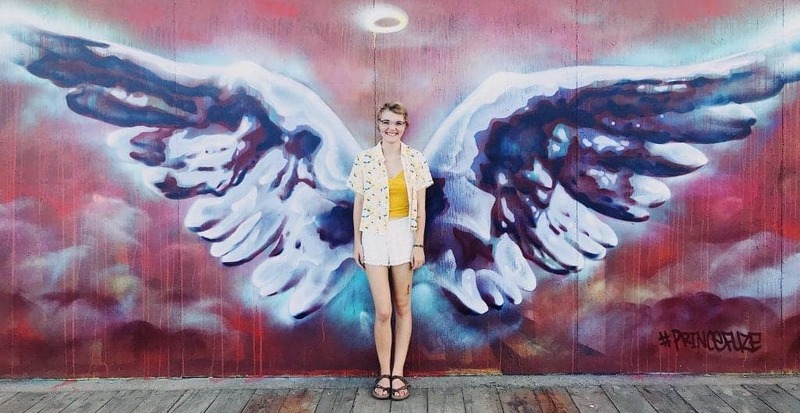 Hannah loves spending time in the mountains and at the beach, but she also likes to be near a city with plenty of things to do. And in Halifax, there are plenty of things to do. She got to hang out and have drinks with the girls, take pictures in front of their amazing murals in the city, and we were there during the Busker Festival so there were street performers everywhere. A very fun city indeed. New York – We did some urban RVing there and we had an absolute blast. Here’s a guide to RVing near New York City. 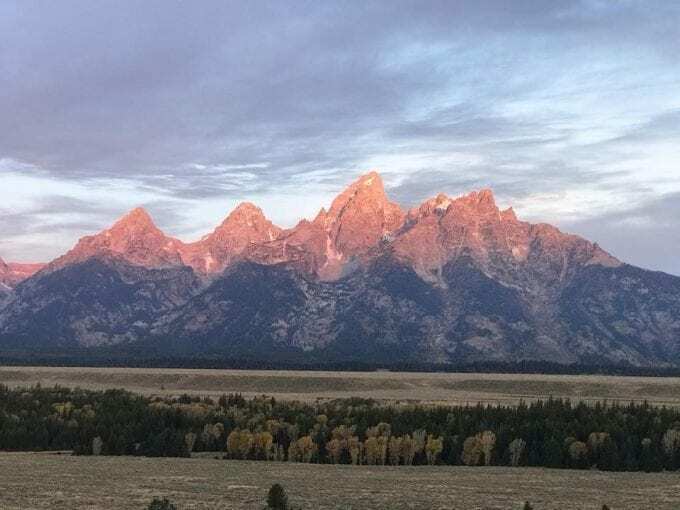 The main road that takes you through the Grand Teton National Park is nothing special, but the views during said drive are nothing short of stunning. One thing that struck me as unique about this range was the lack of foothills. After growing up right outside the foothills of the Rocky Mountains in Colorado, I came to expect that every mountain range was prefaced by increasingly large hills, slowly but surely leading up to the main display of rock giants. No such thing exists with the Teton Range. One second you’re driving on flat plains, and the next you’re face to face with a 13,776 foot behemoth. The landscape truly is remarkable. Just like we booked it over to Glacier National Park again as fast as we could, we headed to the Tetons afterward. It was another National Park we knew was worth a second visit. After having visited in the summer, it was incredible to see what this place looked like in the fall. It did not disappoint. 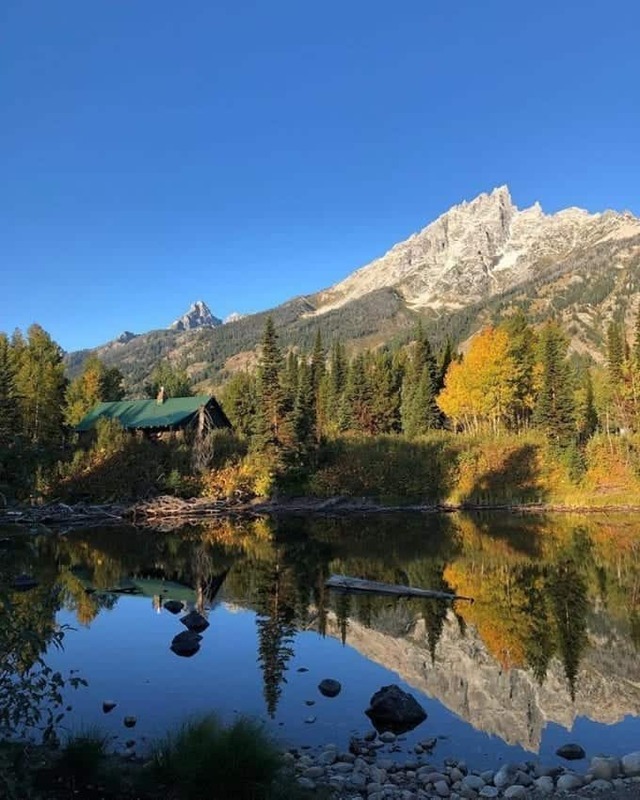 Visiting the Tetons in the fall is a must. Here are five reasons why. For more stunning shots of this area (and our travels), be sure to check out Josiah’s Instagram. He captures the scenery perfectly, making you feel like you’re standing right there. 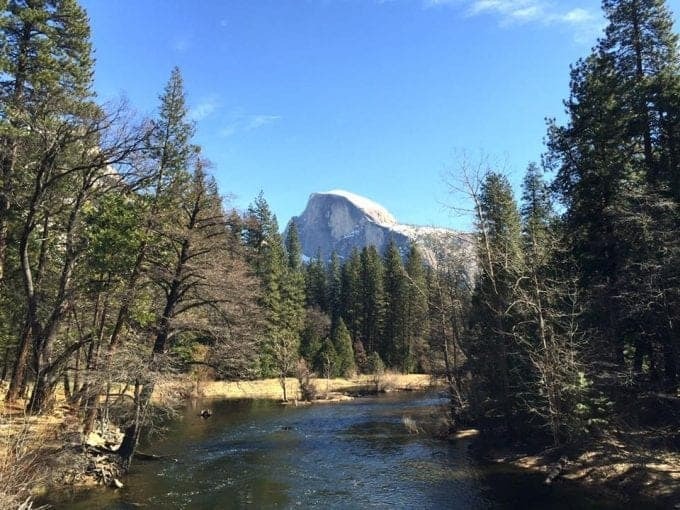 In 2016, we took a family spring break trip to Yosemite National Park and San Francisco. 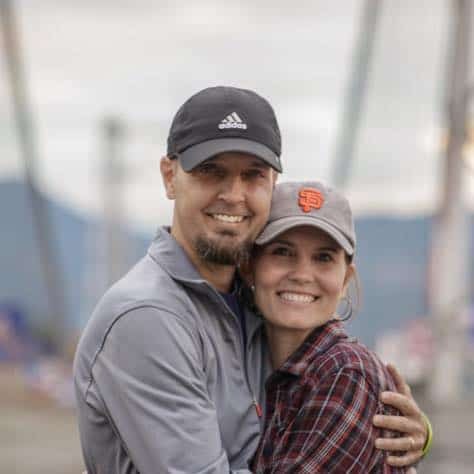 It was the most we had spent on a family vacation ever, between flights and food and lodging and car rental, so to say we were hoping it was a trip everyone would love was an understatement. Better than we could have imagined. Our cabin was perfect and was located in the park. Which meant spotty and usually non-existent cell service. And you know what? That’s a big part of why Aaron remembers this place so fondly. Instead of burying our heads in our electronic devices, we played cards as a family. We sat in silence soaking in the beauty. We talked and talked some more. The week was filled with these special quiet moments that we all still talk about to this day. Add on top of those special moments the beauty of Yosemite and you have a trip everyone will remember for a very long time. We did go back for a second visit during our 17-month road trip and loved it just as much. We hiked, we snapped hundreds of photos and also spent more time in San Francisco than during our spring break trip. If you’re looking for a family vacation that includes both nature and the city, we highly recommend this area. 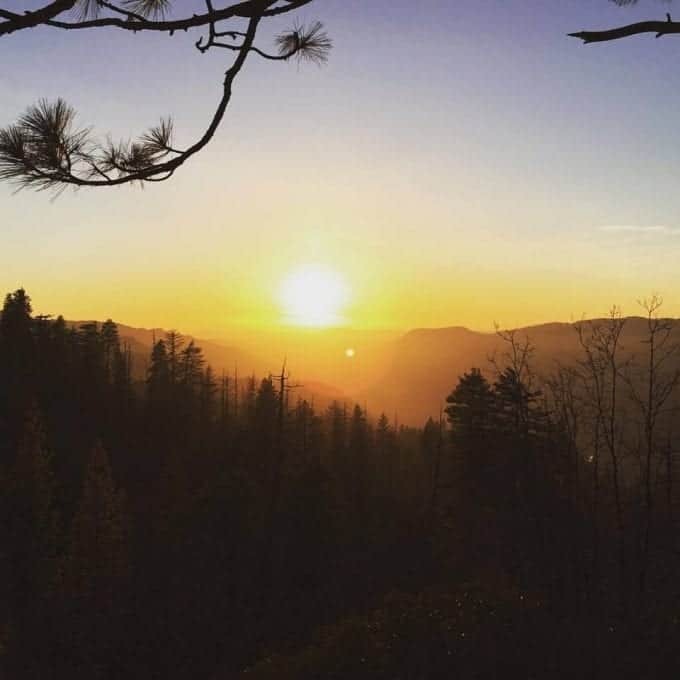 Sedona, Arizona – We did some incredible hiking in Sedona, which you can read about here. I hope by reading about our top 5 favorite RVing spots, you got some great ideas for your next family adventure! Wow these are such beautiful Rv-ing spots! Love your photography and list of these lakes and national parks. Bookmarked! 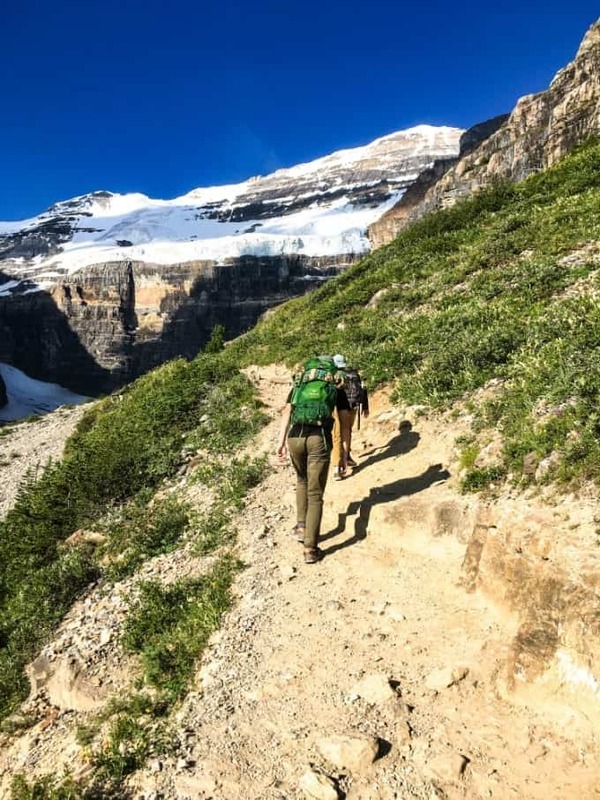 Glacier National Park is definitely on my list of places to go – but I hadn’t even heard of a lot of these! I’m so glad I found this. 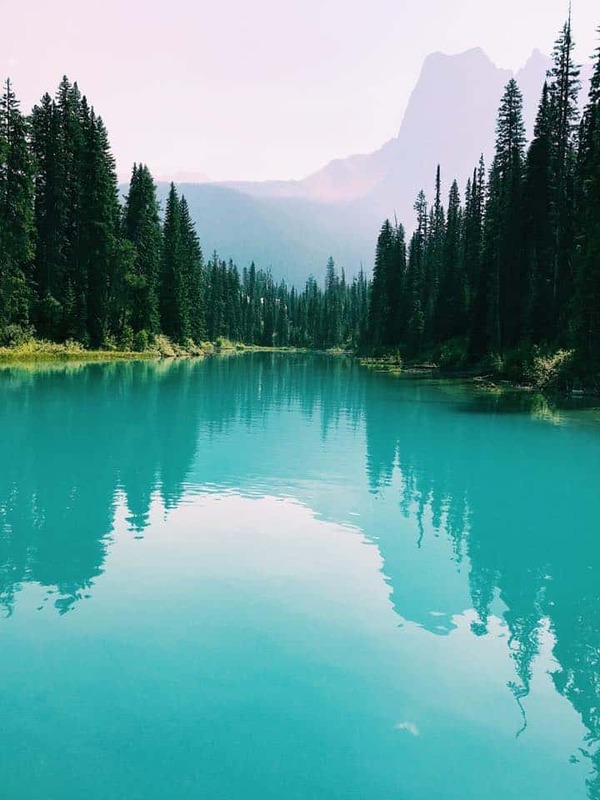 Yoho National Park looks AMAZING! Glacier is so magical! Definitely a must-visit. And I’m glad we introduced you to some new destinations! Our work here is done 🙂 And we hope you get to go! So I just have to say Canada is my country and it is Ahhh mazing..I miss it so bad! I was born not far from Banff…never been to Yoho..I need to see it ! 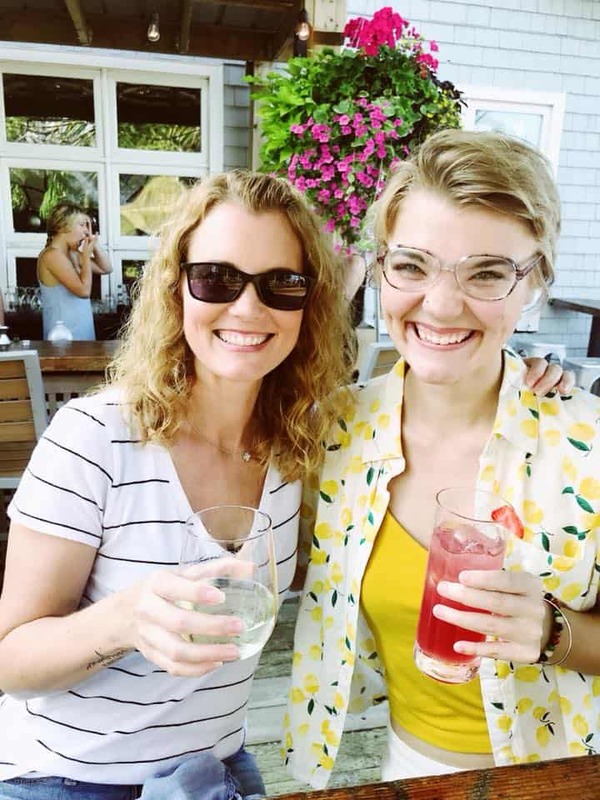 Great post and what great experiences you’ve had r-ving.awesome! What a time you must have had! I’ve been to some of these places, but as I live in Norway it’s pretty far to go. I’m thinking I’m going to visit Banff and Jasper NP next Summer, can’t wait! I loved reading and see all your marvelous adventures. I would love to see all the places and do all the things! I only recently found your blog but so glad I did! 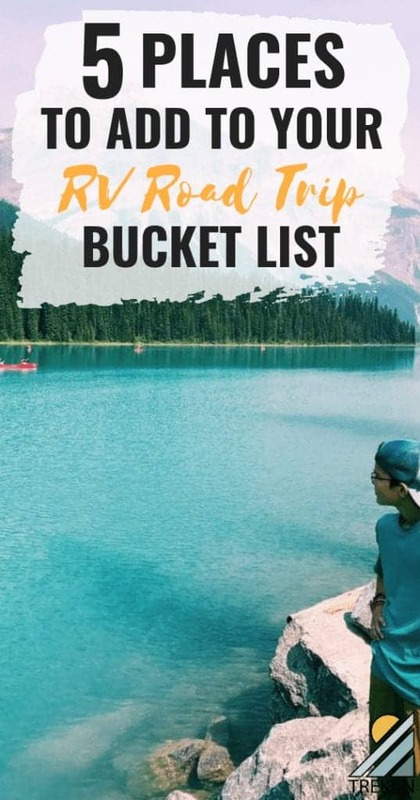 We are also weekender/summer RVers and the places you’ve listed are on our bucket list of places we hope to visit. You give great information that I appreciate and will use for planning our own trips. I also love looking at your photos! Hi Lori! We’re glad you found us too. 😉 I’m so happy you’ve found the information helpful. Don’t hesitate to let us know if you have any questions about specific places!